Achieve a radiant, glowing complexion with Dermalogica Smooth Skin Favorites; a trio of products that work in tandem to cleanse, exfoliate and hydrate for improved tone and texture. Presented in a gift box. Formulated with natural Quillaja Saponaria, the soap and fragrance-free cleanser is ideal for combination to normal skin types, foaming into a refreshing lather to effectively eliminate dirt and impurities without altering skin’s natural moisture levels. Enriched with calming extracts of Balm Mint and Lavender, skin is left feeling squeaky-clean and revitalised. Containing Lecithin and Aloe Gel, this moisturising cream works to maintain skin’s natural moisture levels, with Cucumber and Arnica to soothe and hydrate, restoring tone and suppleness. 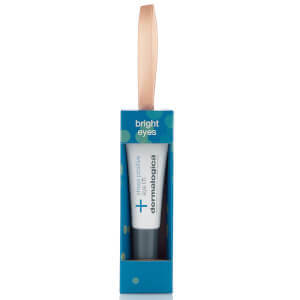 Antioxidant-rich Grape Seed Extract and vitamins A,C and E help to shield skin from pollution and dehydration. Skin is left softened and smooth. 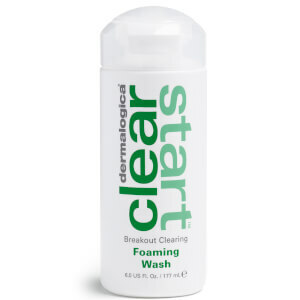 Cleansing Gel: Put a small amount of cleanser into the palm of your hand. Gently work the gel into a deep cleansing lather and apply to your dampened face and throat. Rinse with warm water. Cream: After cleansing and toning, apply over your face and throat in light upward strokes. Use twice daily - morning and night. Cream: Water (Aqua), Butylene Glycol, Caprylic/Capric Triglyceride, Ethylhexyl Hydroxystearate, Stearic Acid, PEG-8, Lactamide MEA, Ethylhexyl Methoxycinnamate, Dimethicone, Cetearyl Alcohol, Silk Amino Acids, Polysorbate 60, Tocopheryl Acetate, Citrus Aurantium Amara (Bitter Orange) Flower Extract, Cananga Odorata Flower Oil, Camellia Oleifera Leaf Extract, Aloe Barbadensis Leaf Juice, Allantoin, Panthenol, Glycolipids, Sodium Hyaluronate, Palmitoyl Hydroxypropyltrimonium Amylopectin/Glycerin Crosspolymer, Lecithin, Vitis Vinifera (Grape) Seed Extract, Malva Sylvestris (Mallow) Flower/Leaf/Stem Extract, Hedera Helix (Ivy) Leaf/Stem Extract, Cucumis Sativus (Cucumber) Fruit Extract, Sambucus Nigra Flower Extract, Arnica Montana Flower Extract, Parietaria Officinalis Extract, Retinyl Palmitate, Ascorbyl Palmitate, Polyquaternium-10, Cetyl Alcohol, PEG-100 Stearate, Glyceryl Stearate, Aminomethyl Propanol, Disodium EDTA, Carbomer, Sodium Benzoate, Phenoxyethanol, Ethylhexylglycerin, Benzyl Benzoate, Benzyl Salicylate, Linalool.